Before taking out a mortgage to buy a home, it’s time to take a realistic survey of your finances so that you can determine your price range and what size of home you can comfortably afford. Buying a home that suits your finances will mean that your mortgage payments will be easily within your budget and won’t cause you financial stress. Many people, when offered a large mortgage by the bank, are tempted to buy homes that are outside of their price range. It’s easy to see why a larger property or a more luxurious home might be appealing, but by stretching too far beyond your means you are courting with disaster. If your monthly mortgage rate just barely fits within your budget, without room for savings, retirement contributions, or to build up an emergency fund – it will only be a matter of time before things start to get tight. What happens if you lose your job, or if your income decreases? 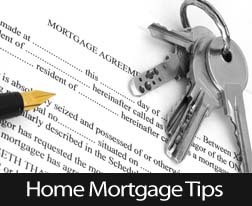 If you are unable to meet your mortgage payments, it is easy to slip very quickly into debt or even bankruptcy. This is why it is so crucial to buy a home that fits your budget. Make a detailed budget that chronicles your monthly incomings and outgoings. How much money do you really have each month to work with? What type of safety net do you have if something goes wrong, in terms of savings and family support? How large of a down payment are you able to save up? At least 20% of the property cost is recommended, but more is always better. How much outstanding debt do you have from your other lenders, such as your credit card debts, your bank loans, student loans, etc? How stable is your income? Do you have a steady paycheck or are you self-employed with variable income? Are you willing to change your lifestyle and lead a more frugal life to get the house you want? Is there anywhere you can cut expenses and spend more on your mortgage payment? What will be the total of all of the costs associated with purchasing the home, including closing costs, inspections and other fees? What are the costs associated with moving? Don’t forget to include the moving van, new appliances, hotel expenses, gas and meals out during the transition period. Once you have asked yourself these questions and taken a close look at your budget, you will be able to determine realistically what you can afford when buying a home – so that you can find that dream home that meets your budget. 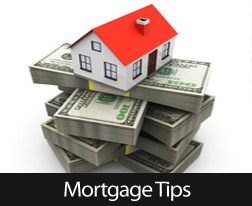 For more helpful advice, contact your trusted mortgage professional. A home equity loan is a type of loan that allows you to use the equity of your home as collateral. It is an option that home owners have available to them and that some people use to pay for major expenses such as home renovations, college education or medical bills. These types of loans became popular in 1996 because they provided a way for consumers to circumvent their tax charges for that year, which eliminated the deductions on the interest for most consumer purchases. It is a good idea to leverage your shelter for cash? What is a legitimate reason for taking out a home equity loan? It can be tempting to use the equity you have in your property to pay for expensive luxuries, but there are only a few things that you should be spending a home equity loan on. Home renovations are a popular reason why people take out a home equity loan. This idea actually makes sense, because making improvements to the home can greatly improve its value. The renovation could pay for itself and more, when it comes to increasing the value of the property.Of course, the value of the home is also dependent on other factors beside the renovation, so there are no guarantees. Another reason why people take out home equity loans is so that they can combine all of their bills and debts into one, such as the credit card debt, retail credit debt and more. 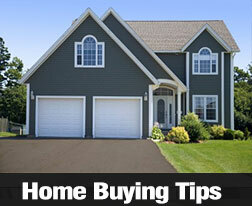 This can be advantageous, because the interest rate on a home equity loan is a lot cheaper. Having a single monthly bill rather than having to keep track of several debts can also make things a lot simpler and improve your monthly cash flow. Many parents have chosen to use their home equity loans to fund their child’s university or college education. With the extremely high costs of post-secondary education these days, this option can make a lot of sense. However, if you are just about to consider retirement when your kids are going to college, you might want to look for scholarships or student loans instead so that you don’t reduce the nest egg you planned to retire on. These are just a few things for homeowners to consider when it comes to home equity loans. To learn more about owning a home, you can contact me your trusted mortgage professional. Do Those Additions Really Add Value To Your Maine Home? When you own a home in Maine, there are additions that you can make to the property that will improve the value of your home. For example, a newly renovated kitchen or bathroom is a popular choice that will really make the home more desirable to buyers. A beautifully landscaped garden might make the home more visually attractive to Maine buyers when they are looking at the property, but it will not likely add to the selling price. These are a few examples of home additions that will not add to the resale value of your property. 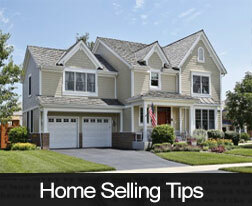 To find out more about selling your home, contact your Maine mortgage professional. The old real estate cliche’ about “location, location, location” is true, as the area of the city where your home is located will have an impact on its future value as well as your lifestyle. For more information about buying a Maine home, feel free to contact your Maine mortgage professional today. 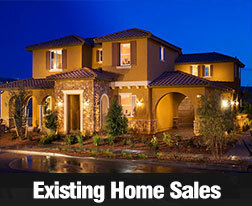 U.S. housing markets continue to drive the economic recovery according to data released by RealtyTrac Inc. Rising mortgage rates and home prices can present challenges, but working with your trusted mortgage professional can help with finding an affordable home. Programs are available for assisting eligible first-time buyers with their down payment and closing costs. For assistance in finding an affordable home please feel free to reach out to your trusted mortgage professional today. According to the National Association of REALTORS®, national sales of existing homes in June came in at 5.08 million. June’s reading was reported to be the second highest since November of 2009; this should calm concerns about a lapsing recovery in housing markets. Summer typically produces the highest prices for existing homes sold, as families seeking larger homes frequently move during summer months. The June inventory of existing homes improved by 1.90 percent to 2.19 million homes or a 5.20 month supply. June’s number of available homes was 7.60 percent lower than in June 2012. The shortage of available homes has been causing buyers to turn from existing homes to new homes in areas where both available homes and/or land for new construction are in short supply. So the news of more existing homes for sale is good news for home buyers and housing markets that have been held back by an excess of buyers seeking a short supply of available homes. This trend was supported by June’s national average price for existing homes at $214,200, which represented a year-over-year increase of 13.5 percent. Rising home prices and mortgage rates continue creating financial challenges for first-time buyers and others seeking affordable home prices and mortgage loans. Distressed home sales were down from 18 percent in May to 15 percent in June; this is the lowest market share since tracking began in 2008. June sales of distressed homes were significantly lower than in June 2012’s reading of 26 percent of existing homes sold. The National Association of REALTORS® noted that falling levels of distressed sales are contributing to higher prices for existing homes. The Federal Housing Finance Agency (FHFA) reported Tuesday that prices for homes financed by Fannie Mae and Freddie Mac rose by 0.70 percent in May as compared to April’s downwardly revised 0.50 percent increase in home prices. According to the FHFA Housing Price Index (HMI), home prices were up by 7.30 percent year-over-year in May, and are roughly equal to home prices reported for January 2005. 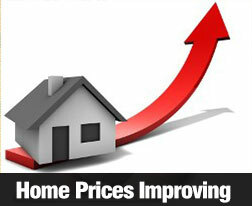 May’s home prices remained 11.20 percent below peak prices reported in April 2007. May’s FHFA data demonstrated steady growth of home prices for all nine census divisions on a year-over-year basis with home prices increasing from 2.70 percent to 15.80 percent in May. The S&P Case-Shiller Home Price Indices for April indicate that the housing recovery gained ground. In April 2013 average home prices tracked in the Case-Shiller 10 and 20-city Composites increased by 11.60 and 12.10 percent year-over-year. On a month-to-month basis, the Composites increased by 2.60 and 2.50 percent respectively. The 10-and-20 City Indices reported the highest year-over-year gains in home prices since 2006. Cities where home prices gained more than 20 percent year-over-year included Atlanta, Las Vegas, Phoenix and San Francisco. Phoenix posted its 12th consecutive month of double-digit increases in home prices while San Francisco home prices increased year-over-year by an average of 23.90 percent. Home prices increased year-over-year in 19 the 20 cities included in the 10-and 20 City Composites, with home prices in Detroit remaining flat. Mr. Blitzer also noted that according to the most recent Fed Senior Loan Officer Opinion Survey, some lenders are beginning to relax credit requirements for mortgage loans. This good news, along with the availability of adjustable-rate mortgage loans is expected to help with maintaining affordability and providing access to homes for more buyers. According to the S&P Case-Shiller 10-and-20 City Composites, home prices fell approximately 26 to 27percent from their highest in June 2006 to their lowest in March 2012. As of April 2013, average home prices had recovered by 13.10 percent for the 10-City Composite and 13.60 percent for the 20-City Composite. The Federal Housing Finance Agency (FHFA), which oversees Fannie Mae and Freddie Mac, reported that home prices increased an average of 7.40 percent year-over-year as of April 2013, and rose by 0.70 percent between March and April 2013. While this data fell short of an expected month-to-month increase of 1.10 percent, Average FHFA home prices were 11.70 percent below their peak in April 2007. FHFA bases its report on sales of homes financed with mortgages owned or securitized by Fannie Mae and Freddie Mac. The U.S. Commerce Department reported that sales of new homes reached a five-year high in May, the highest level since July 2008. 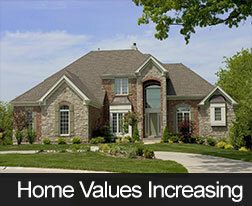 May sales increased 2.10 percent between April and May 2013 to a seasonally-adjusted annual rate of 476,000 homes. This represents a year-over-year increase of 29 percent from May 2012. While rising mortgage rates and home prices may slow demand for homes, economists don’t believe that either factor will halt the housing recovery. A good next step is asking your trusted mortgage professional about current home values and loan options in and around Portland, Maine.